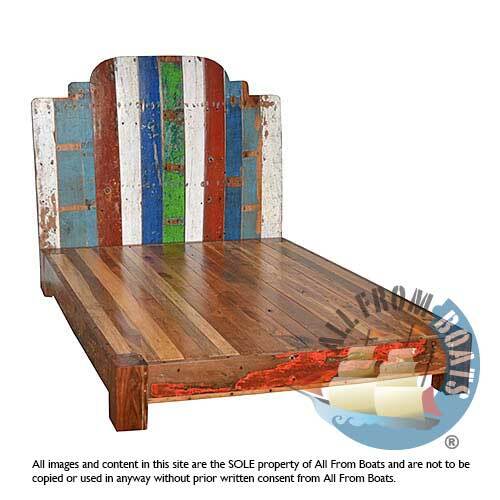 Boatwood Bed 1 with high bed head, knockdown, made from reclaimed boat timber. recycled, reclaimed boatwood furniture. shellac finishing.